Trying to squeeze a few more fresh salads out of the season? 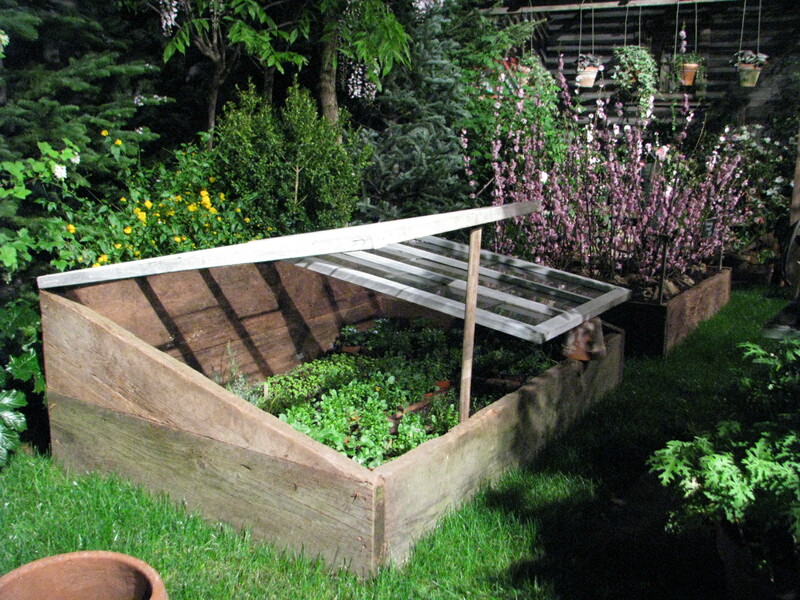 A simple cold frame can help. Often made from recycled materials, they can protect tender plants from heavy rains and frosty nights. I took this picture at the Seattle Flower and Garden show this year (no, that’s not my yard! ).